Since 1990, campuses nationwide have experienced remarkable outcomes with Capturing Kids’ Hearts tools and processes, creating the socio-emotional safety conducive to learning. Now, through the Capturing Kids’ Hearts National Showcase Schools and Capturing Kids’ Hearts National Showcase School District awards, the Flippen Group is recognizing and celebrating schools and districts that go the extra mile each day, building an environment where students are relationally connected and eager to learn. 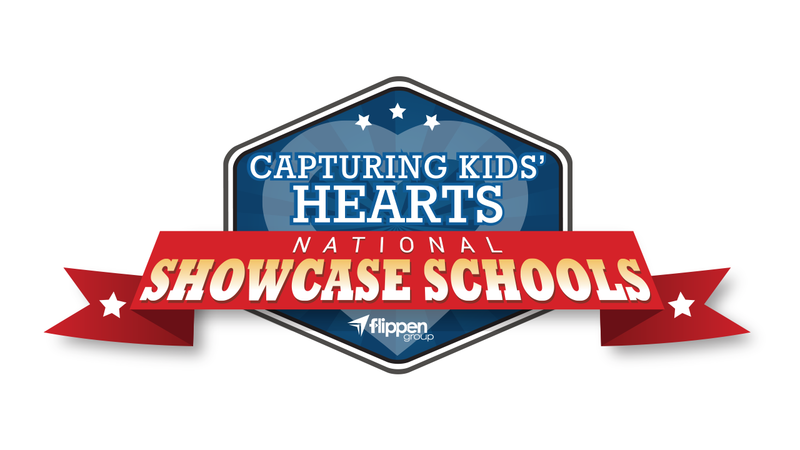 The Flippen Group has named 202 campuses Capturing Kids’ Hearts National Showcase Schools for the 2018-2019 school year. A list of the campus recipients can be found here. In addition, Haysville Schools USD 261 (Kansas) and St. James R-1 School District (Missouri) had 100% of their campuses awarded and have received the district award. The Flippen Group believes what the research demonstrates – that students are most likely to succeed when they are emotionally safe and able to reconnect with their natural curiosity. Research studies have proven that the Capturing Kids’ Hearts processes provide educators with skills needed to change the trajectory of students’ lives. Openness replaces defensiveness. Judging and feelings of being judged are replaced with acceptance and real connectedness to school. “Discipline problems nearly non-existent” and “Academic achievement constantly improving” are common feedback following implementation.